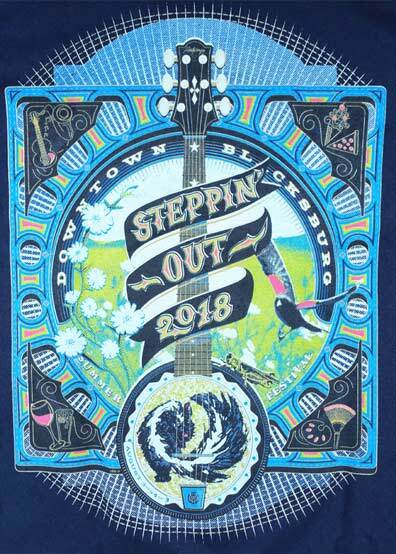 The Steppin' Out t-shirt has become an annual collector's item and is part of the great Steppin' Out tradition! 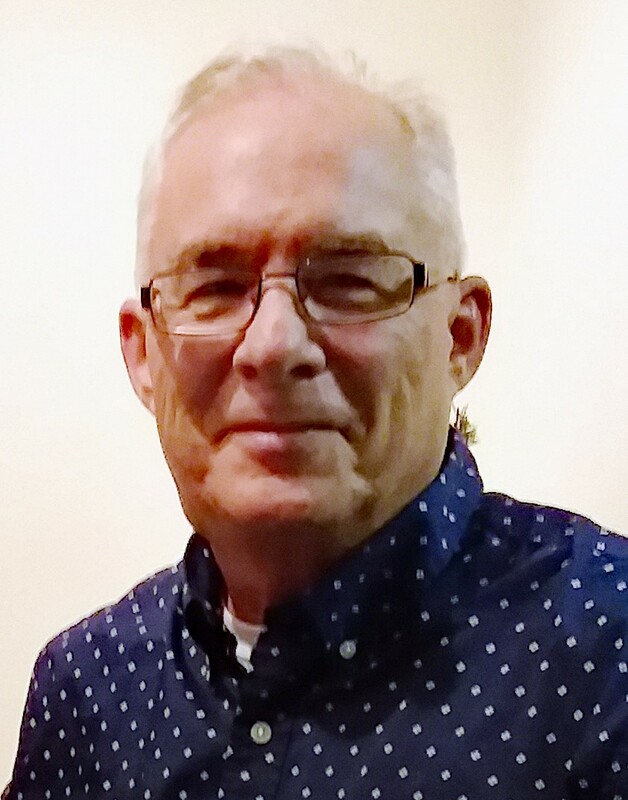 We are excited to reveal the design for this year's t-shirt and to introduce you to the designer- Dale Goorskey. 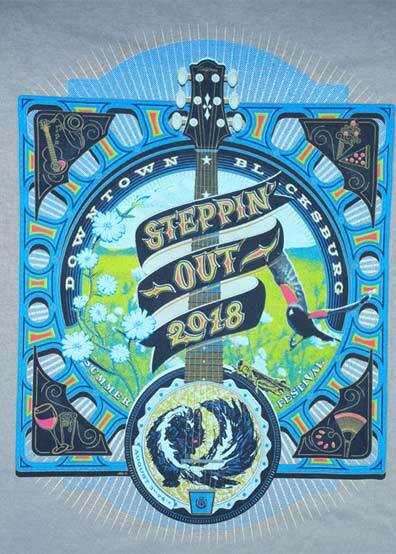 Dale entered and won the annual t-shirt design contest held by Downtown Blacksburg, Inc. this year! 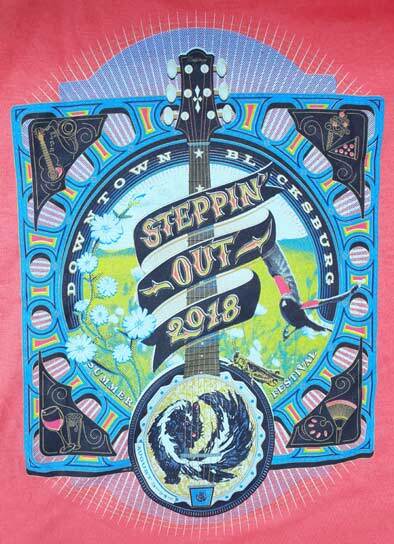 The Steppin' Out t-shirt was printed by downtown merchant, High Peak Sportswear. Sometimes I am asked to explain my art. To answer the first. I paint mostly in watercolor. I like bright colorful paintings with contrasts of black. The beginning of a painting is always the hardest second only to the question when is it done? But I like a challenge. So I like to say the world is a beautiful creation lets see what I can make of it? That’s the beginning that's how the art starts. So I took the roll, bought some watercolor paints and began creating bad paintings. That was 2004. You see when I was a teen in the 60's my mother had taught me to use oil paints but I had veered off that creative track into film photography as an artistic vent. I loved film photography then. But digital photography became the future and while I still like photography, it wasn't as full for me. Painting seemed to be a way back to the beginning. With a roll of paper I was inspired again. Since then I have been painting as I say mostly in watercolor. Teaching myself about different styles and cultures in water media. For instance my daughter-in-law from Taiwan one day inspired me by her making of traditional Chinese New Year cards using Chinese calligraphy. I now use an Asian style in my painting. What are they about? Beliefs are always present in all art I think. I believe in the beginning God created all things. My art is a figure of this belief. I am at the beginning when I paint. After all it's a beautiful world how would you explain that? I paint. 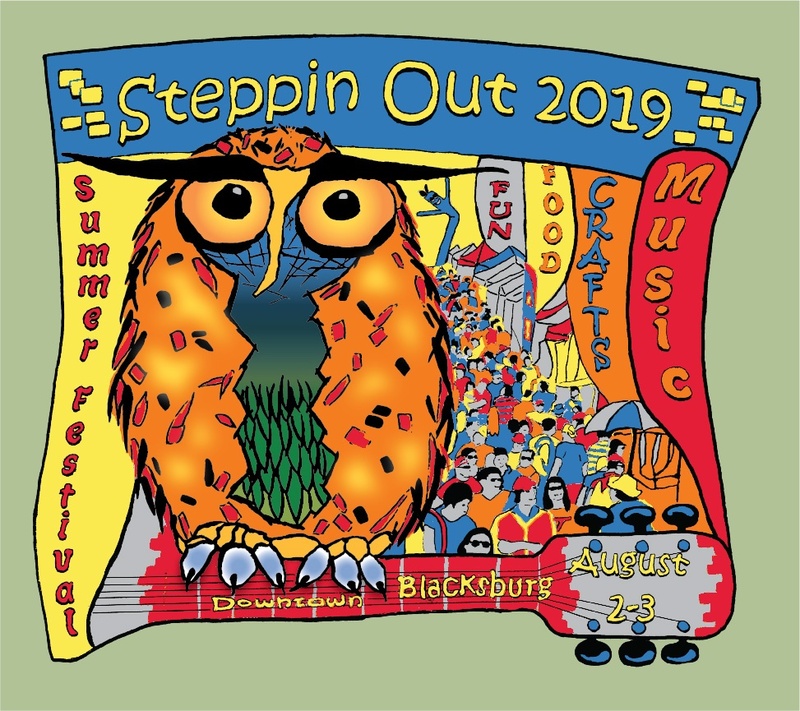 Three stages of live performance, both Friday and Saturday, make Steppin' Out one of this region's premier arts events. The Main Stage provides continuous live music on College Avenue and Main Street. 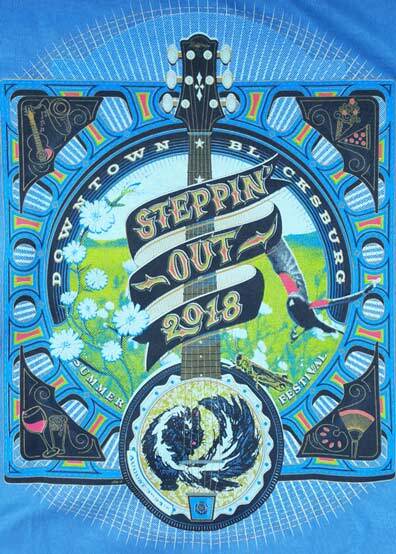 The Acoustic Stage brings folk, contemporary, and utterly unique sounds to the festival area of Main and Lee Streets. The Community Stage showcases local and regional performers from cloggers to belly dancers. 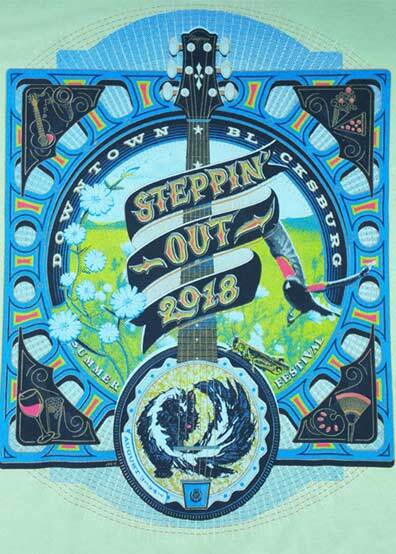 The Community Stage is located in the National Bank of Blacksburg Parking lot on Roanoke Street.